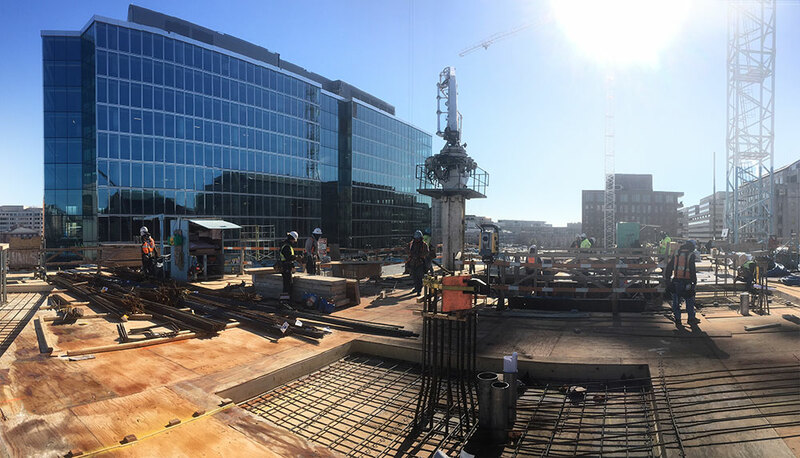 Capitol Crossing is a 2.2 million square foot development occupying the air rights to the 6.8 acres above Interstate 395 in Washington, D.C.. 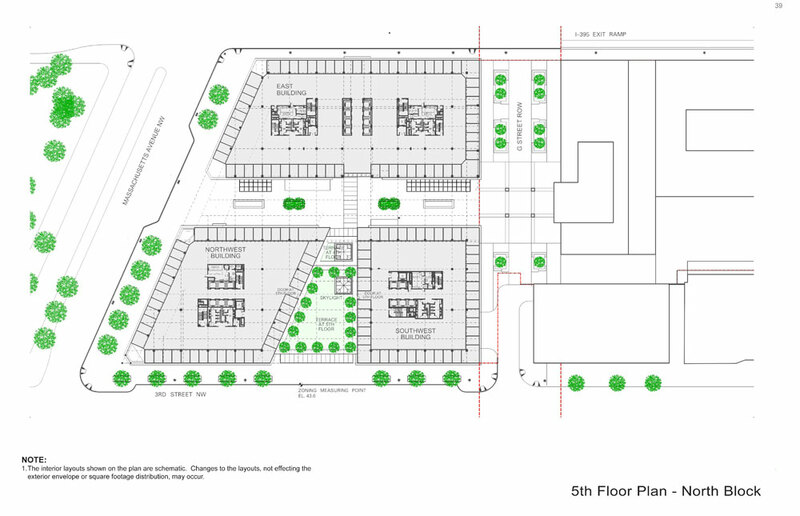 The three blocks of mixed use development will be comprised of mainly office space with retail and residential components. 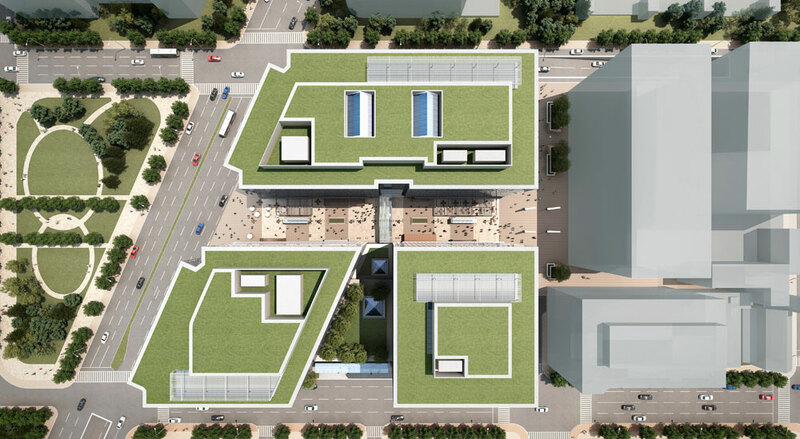 The project aims to reconnect the otherwise empty space to the street grid and urban fabric, thus fulfilling Pierre-Charles L' Enfant's original vision of the city. 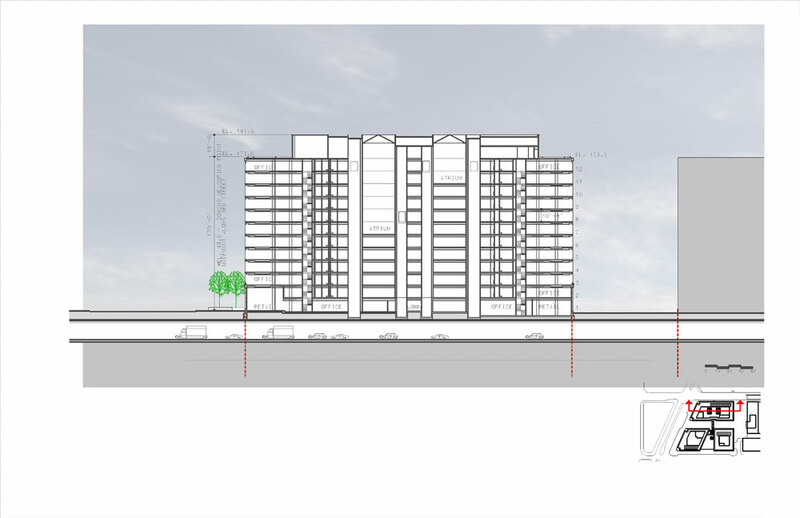 Roche Dinkeloo continues to collaborate with PGP and develop the design of the North Block towers. The two towers, which are twelve stories high, are enveloped in a glass curtainwall and are connected at the second level by a pedestrian bridge. The Pedestrian Way, which is 55 feet wide and runs North-South between the two towers, provides a lively retail environment. 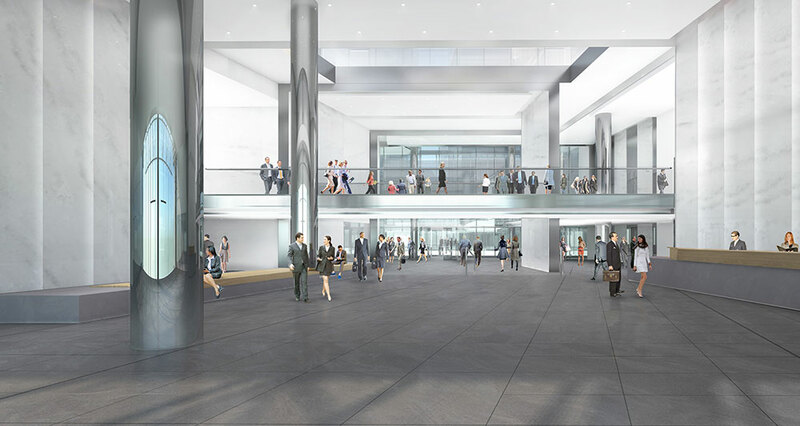 Suspended glass screen walls which span 50 feet, create prominent entrances to the west and east lobbies along Pedestrian Way and to the main entry on 3rd street into the concourse, and lobbies on the ground and second floor. 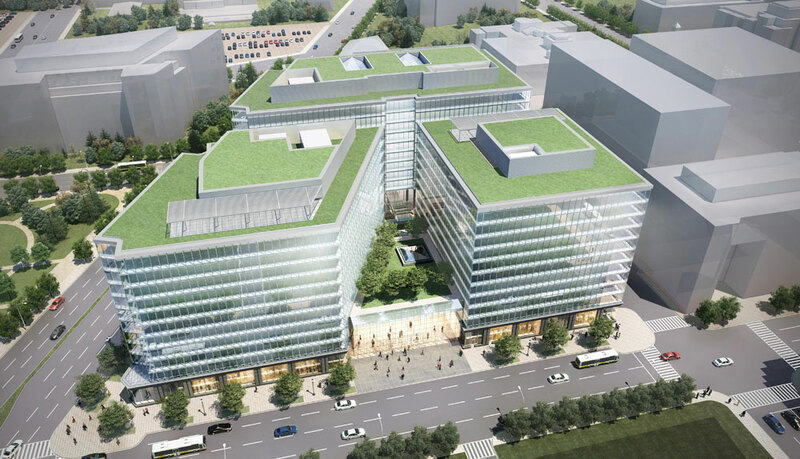 A green roof with terraces on both towers offers panoramic views to the Capitol and Washington Monument. 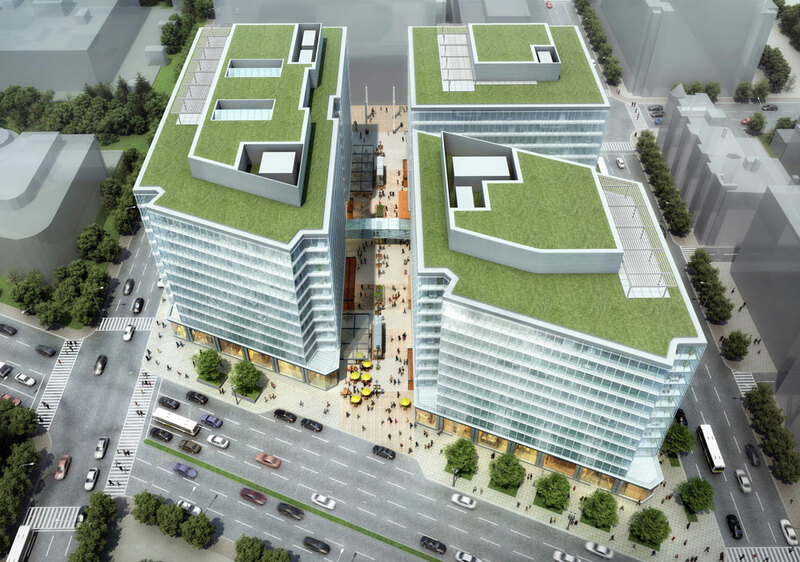 The west tower has an additional green roof with terrace on the fifth floor. 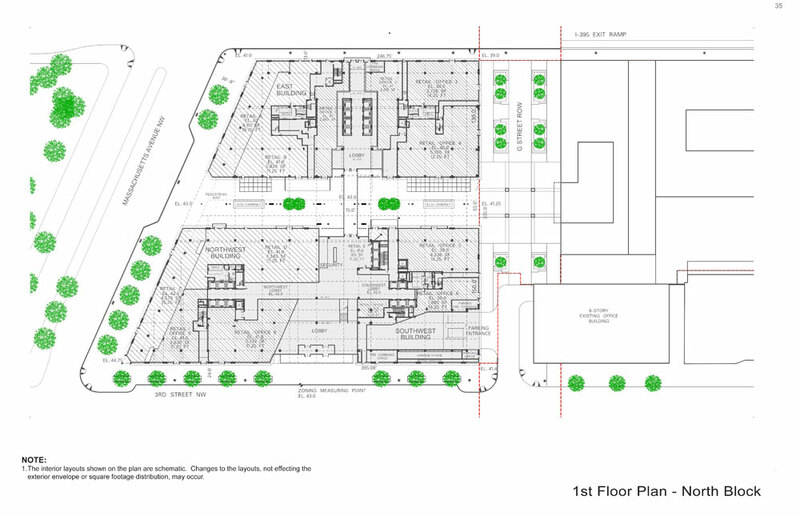 A parking garage for 1,146 cars and 440 bicycles is below the three blocks. 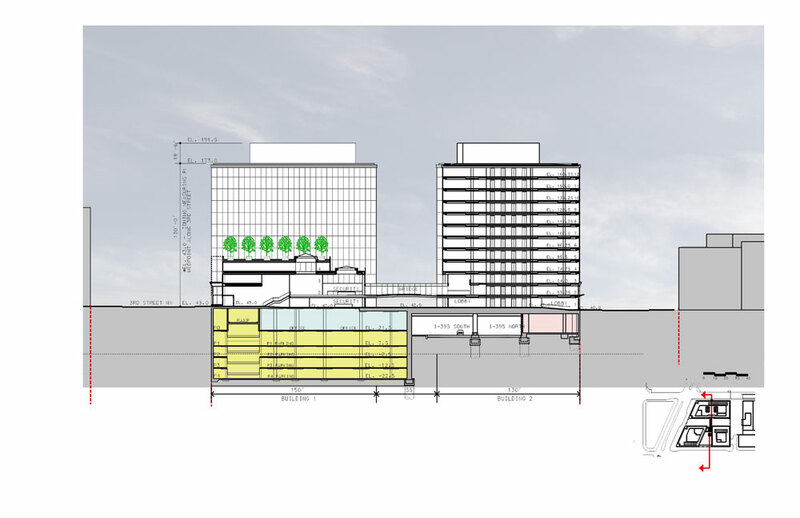 The exterior of 200/250 Mass Ave is composed of two curtainwall types. 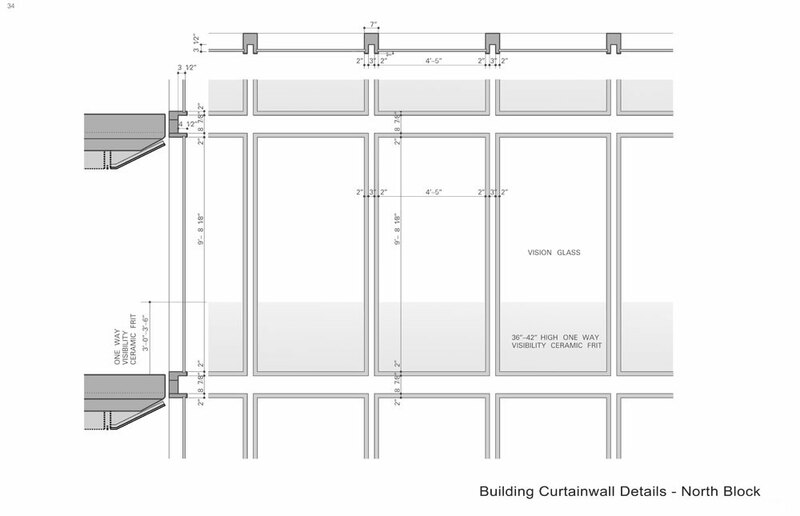 Between the third and twelfth floors, the curtainwall has a grid of floor to ceiling 2" wide polished stainless steel frames on a 5' module set beyond a plane of satin finish stainless steel. At towers' corners and recesses, the curtainwall is flush structural glazing. 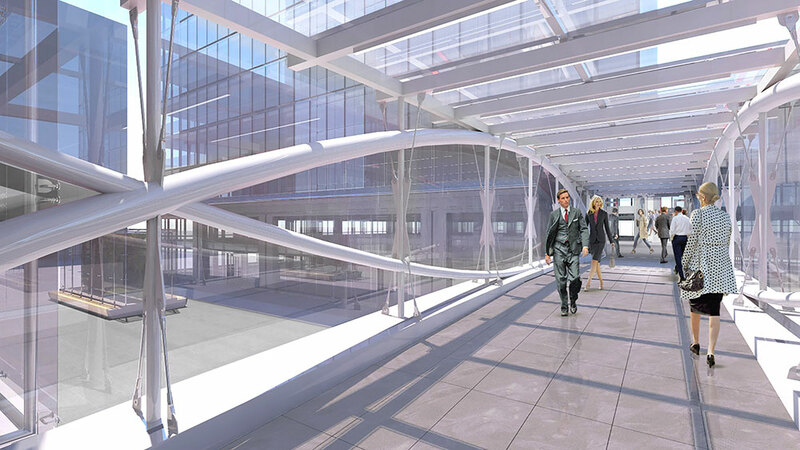 The subtle contrast of curtainwall types gracefully accentuates the building's geometry. At every floor level, fritted glass fades into clear glass at the height of 3'-6". Along the exterior of levels one and two, a granite cornice and series of pilasters form the base of the buildings. 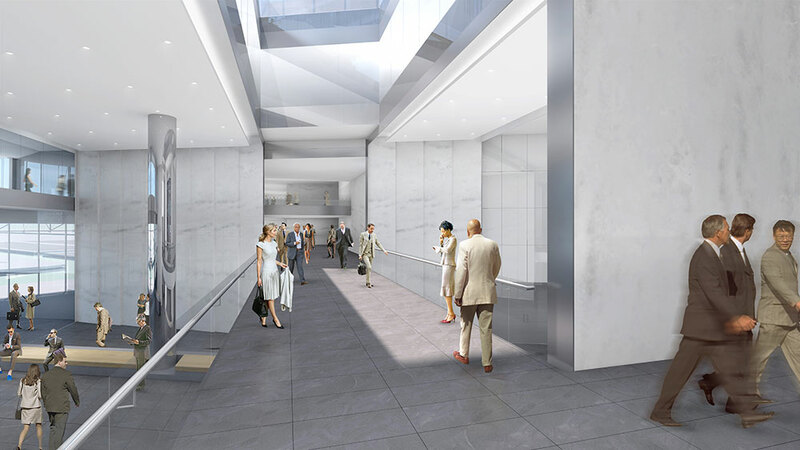 The interior lobbies present a sophisticated palette of quartered Sapeli wood panels and Verdi Lavrus granite on the walls, and a combination of Jerusalem Ramon Gold limestone, Verdi Absolute and Costa Esmeralda granite floors. 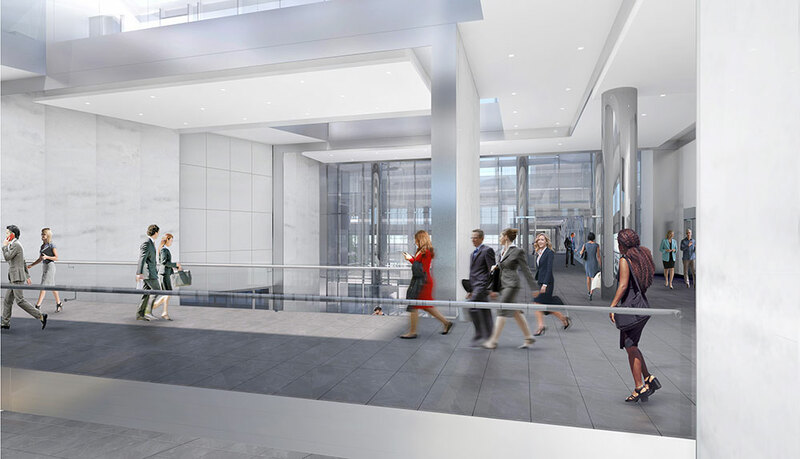 All elevators are equipped with Destination Dispatch technology. 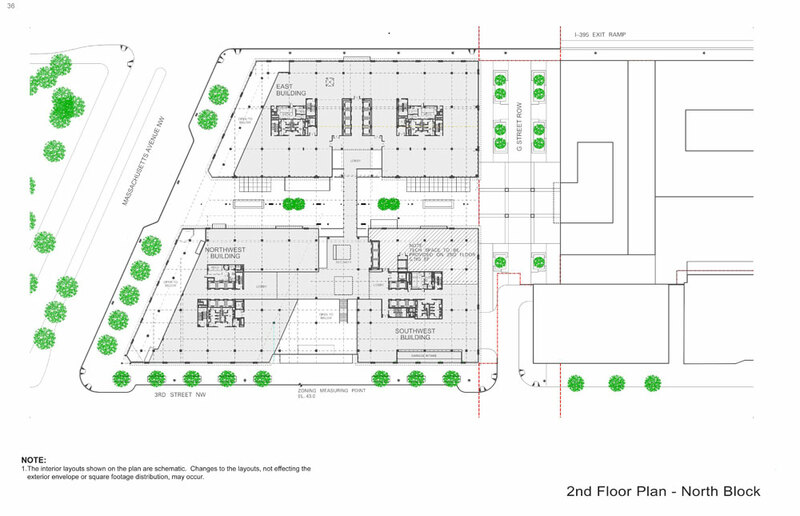 The project incorporates numerous assets to enhance the buildings' sustainability. The 45,108 sq. 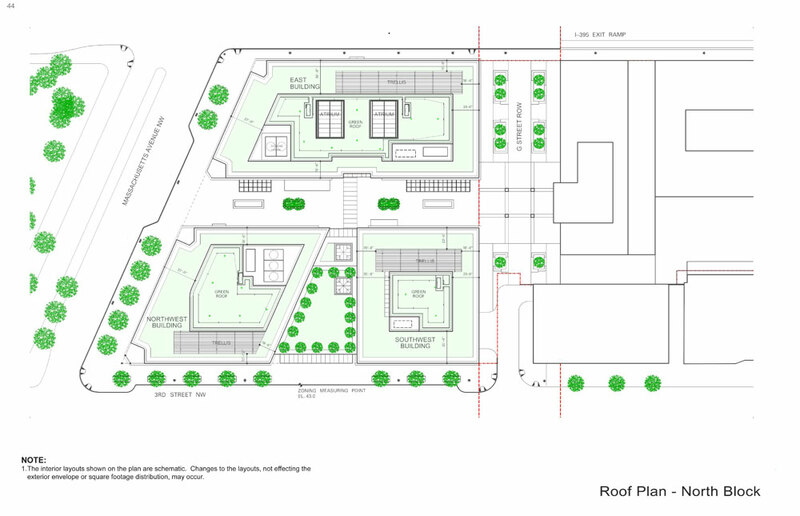 ft. green roof mitigates heat island effect and addresses storm water runoff. Advanced energy recovery devices, indoor air quality controls, water conserving plumbing fixtures, and the elimination of supplemental irrigation help minimize consumption of energy and resources. The insulated glass on the exterior improves thermal efficiency. 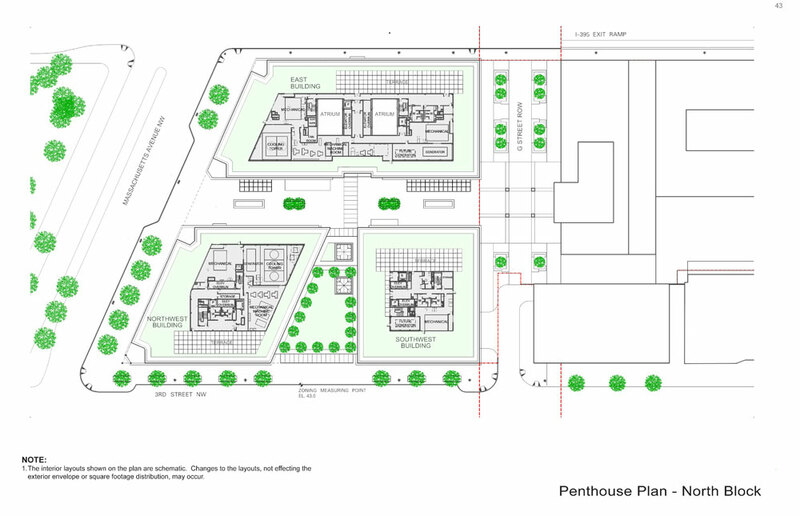 The Pedestrian Way features two eco-chimneys, which will address the below-grade vehicle exhaust. 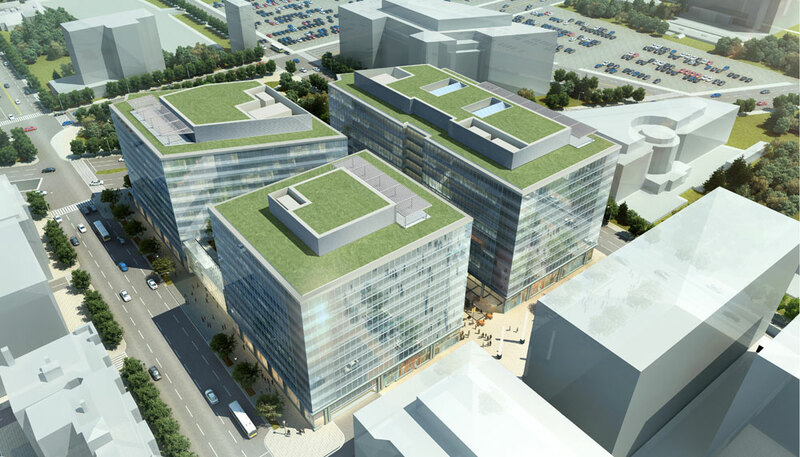 The project anticipates LEED Platinum certification.